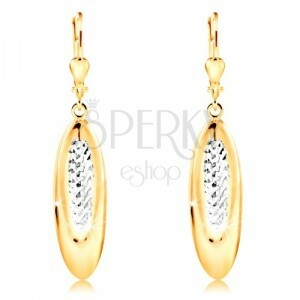 585 gold earrings, narrow oval decorated with refined gleaming facettes and a layer of white gold, lever back fastening. By buying this product you can collect up to 91 points as a voucher of $24.57. Your reward points. Earrings in combined 14K gold have the shape of an oval with slightly rounded surface that is at the front part decorated with a smaller oval covered with a layer of white gold and with tiny refined facettes. The back side of the oval is hollow. 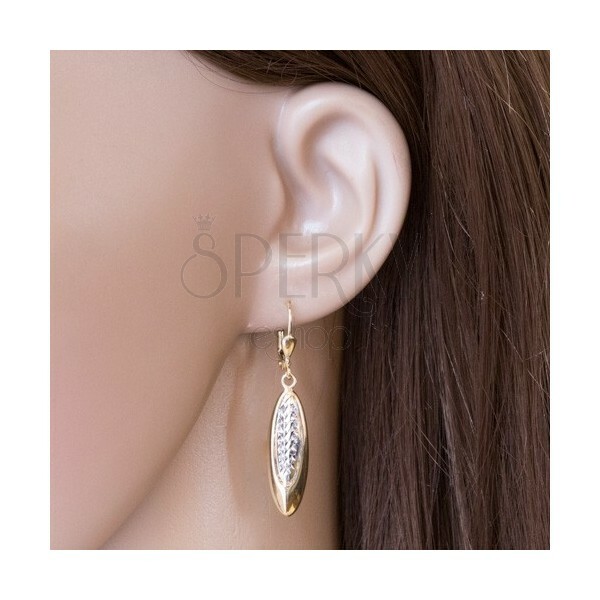 The earrings have lever back fastening with a small reversed tear at the bottom part.